(They are on lunch break right now and will resume at 1:15 EST. I understand that discussion will end after this afternoon's session.) I was asked that I send you an email identifying myself when I made a comment yesterday. I am a citizen, and a co-author and programmer of a college-level statistics course available online. I represent Nuke-Free North County (San Diego, California) and reside in Carlsbad, CA. My comment was to the effect that I'm not sure you (the planners for this new PRA, of which I understand you are the lead person) intend to take into account the added risk from a 75% through-wall crack in the dry cask's 5/8ths inch-thick stainless steel sides (75% being the current allowed standard for such cracks to progress in the first place), and that in any case, with well over 10,000 dry casks necessary for the spent fuel already in existence, either in spent fuel pools now, in reactors, or in the 2,000 dry casks that already exist, there's bound to be fabrication/workmanship/fraud issues. Will the PRA authors be assuming manufacturing will always be perfect, more than 10,000 times? Because in the San Onofre Steam Generator Debacle (for which the NRC is as guilty as anyone (if for nothing else, for not checking Southern California Edison's engineering changes properly)), I was told by an official from the NRC (in writing) that proper fabrication/manufacturing of the product was assumed when doing the risk assessment for a steam generator. 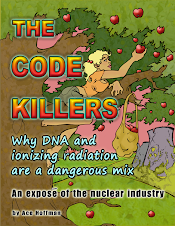 Yet just a few years earlier, the late Oscar Shirani had identified numerous fabrication errors in dry cask manufacture, including purposefully inadequate inspections, and I myself spoke to a "whistleblower" from San Onofre with 25 years' experience at that plant -- and time at Los Alamos and in Vietnam (as a sniper) before that -- who said the fabrication of the dry casks at San Onofre included improper welding (wrong speed settings for the automatic welding machine, for example) and intimidating of workers not to report problems. In addition to those topics, I am seriously concerned that the methodology being used (PRAs) is unlikely to be realistic. PRAs require making thousands of "educated guesses" about the risk factors of contributory trees of events. That's what's being discussed in this meeting, really: How to group the trees of events, and what those trees are. More specifically, a lot of the discussion seems to be about how to apply operating reactors' PRA's to a dry cask storage PRA -- in other words, how to reduce the workload of the people who will later attempt to apply real numbers to each event possibility (hopefully not laughably out to three decimal places, as someone at the meeting pointed out yesterday (unfortunately, people don't identify themselves when they speak)). Events such as earthquakes, tsunamis, asteroids (wow! plural! ), terrorists, or what-have-you. Someone pointed out yesterday that Fukushima had altered the fundamental process you are attempting to do: It showed that a worst-case scenario "beyond design basis" can happen. Previously, the nuclear industry could conveniently ignore such events, but that's not considered reasonable (or legal) any more. The NRC and the nuclear industry has had to admit that beyond-design-basis accidents can happen. This PRA will have to either admit that too, or rephrase the concept, whatever that concept is supposed to be. But can any PRA truly solve the high-consequences-but-low-probabilities dilemma faced by the nuclear industry? No. And I dare say, of course not. When you (the NRC) thinks 10,000 dry casks can only release a millionth of their toxic payload in a "worst case" scenario because you've eliminated more than a 1000 unlikely-but-not-impossible events, you (the NRC) are not facing reality! Yet that seems to be where this PRA discussion is going: The release amounts that are considered possible (or rather, probable enough to be considered) all are small enough so that permanent evacuations of large swaths of America -- perhaps populated cities -- are considered so unlikely, that the entire process can and should continue. And when a caller tried to bring up such issues as large evacuation zones, the caller was told that such large releases as, for example, everything at a dry cask "farm" or on an ISFSI pad, are not being considered. If you eliminate consideration for all the highly unlikely, one-in-eight-million-or-less possibility of events, and you do it 1000 times (asteroid impacts, for example) then sure, you might be able to justify the existence of the nuclear industry, its "right" to manufacture this waste and then give it to the public (via the Department of Energy). Actually, you still would not be able to justify it, because any fool knows by now there's never going to be a permanent disposal solution that makes sense. It's never going to be safe to transport this stuff around the country, or to manufacture fission products and plutonium in the first place. What I'm implying, to be frank, is that the whole idea of PRAs for such common, everyday things as piling up so many tens of thousands of dry casks around the country (every 30 years or so, another 10,000 dry casks will be needed), with the plan to transport them somewhere, sometime, with no such location in sight is ludicrous. But what's more ludicrous is that the participants in the process are expecting the nuclear industry to continue to operate based on the results of this PRA! And "outside" peer reviewers will be hand-picked by the NRC, and will undoubtedly NOT include people like Arnie Gundersen, Marvin Resnikoff, Kevin Kamps, Arjun Makhijani or other critics of the nuclear industry as a whole. If they are considered "biased" it is only because of the inherent bias the NRC operates under to begin with. What it sounds like you're going to create is a fictionalized statement of risk, based on ignoring "human factors" including terrorist risks, war, government breakdown, etc. and pretend that corporate entities will always do their jobs right, bridges won't crumble under the weight of the 200th or 2,000th dry cask transported across them, states won't have to be evacuated because of the failure of a dry cask containing nuclear waste that was created not yesterday, which you can do nothing about, but tomorrow, which you can. Thank you in advance for considering these issues in any resultant Probability Risk Assessment done on dry casks, spent fuel pools, or any long-term nuclear waste policy. As an aside, many of the speakers on the phone line are very hard to hear.